Critical illness insurance, sometimes called catastrophic illness insurance or “dread disease” insurance, has boomed in recent years. Offered as an optional benefit by many employers, it’s designed to supplement traditional health insurance if you develop certain serious illnesses or health conditions, such as cancer, a heart attack or a stroke. It’s become popular in the U.S. as a supplement to health insurance and/or a substitute for disability insurance. It’s appealing because it’s simple and inexpensive. Unfortunately, it’s not a good deal. This type of policy is popular because many people today opt for (or are forced into) high-deductible health plans to keep a handle on sharply rising premium costs. People enrolled in such plans may be responsible for a significant proportion of their medical bills, even when their insurance works exactly as designed. The Affordable Care Act limits the annual out-of-pocket expenses a group plan can impose: $7,900 for an individual and $15,800 for a family in 2019. Most group plans have much lower limits, but a $2,500 limit isn’t uncommon. In a perfect world, Americans would have enough resources in their emergency funds, health savings accounts or other accounts to cover these costs in a worst-case scenario. In reality, many people have little or no emergency savings, so an unexpected $2,500 medical bill could be disastrous. Critical illness insurance typically provides a lump-sum payout to those who experience a covered condition or disease. Plans vary, but beneficiaries may receive anywhere from a few thousand dollars up to $100,000 or more. The benefit is paid directly to you. You can do whatever you want with it: pay for out-of-pocket medical costs or other expenses, such as child care, transportation, and modifications to your homes or vehicles if needed. Premiums for critical illness insurance are low compared to health or disability insurance. This is because insurers narrowly define the type of illness that qualifies for a payout. Chronic illnesses, such as Type 2 diabetes, are often exempted. Some specific types of cancer or a cancer diagnosis that is not life-threatening may not be covered, either. Plans that cover more illnesses generally cost more. Critical illness policies also typically restrict benefits or even cancel the policy outright after you reach a certain age (often 75)—when you’re far more likely to get sick. And many plans require that you survive a certain period of time after diagnosis before you’re eligible for benefits. Critical illness insurance can be seen as a sort of lottery ticket, much like accidental death and dismemberment insurance. In both instances, you can get a generous payout in return for a modest premium, but only if you suffer a particular loss in a relatively unusual way. Critical illness insurance is popular because cancer is a frightening prospect, and, sadly, more common than winning the lottery. But there are many less deadly, but costly, illnesses that could put a strain on your finances and make it hard or impossible to work full or even part-time. If you become seriously ill with something other than the narrow list of covered illnesses, or get sick after a certain age, critical illness insurance won’t help you. Disability insurance, which provides income if you cannot work when you’re disabled by an accident or any disease, is worthwhile. Many employers offer both short- and long-term disability insurance, and individual plans are also available. Disability coverage is more expensive than critical illness insurance. But you get what you pay for. Individuals who are concerned about high health insurance deductibles and copays should contribute to a health savings account or flexible spending account. 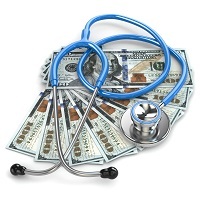 They offer tax savings and may be used to pay for a wide variety of medical expenses. It is also a good idea to fund a separate emergency savings account, which can help cover nonmedical costs connected to illness. If you never need it for that reason, the money is available for other potential emergencies. If you decide to pursue critical illness insurance, read the fine print and understand exactly what you’re buying. A more expensive policy with a larger list of covered illnesses is better than a cheaper policy covering fewer conditions. These policies are cheap for the same reason a lottery ticket is cheap. Buying lottery tickets isn’t good financial planning. Neither is buying critical illness insurance. Palisades Hudson is a fee-only financial planning firm and investment manager based in Fort Lauderdale with $1.4 billion under management. It offers financial planning, wealth management, and tax services. Its Entertainment and Sports Team serves entertainers and professional athletes. Branch offices are in Stamford, Connecticut; Atlanta, Georgia; Portland, Oregon; and Austin, Texas. The firm’s daily blog and monthly newsletter covering financial planning, taxes and investing are online at www.palisadeshudson.com.